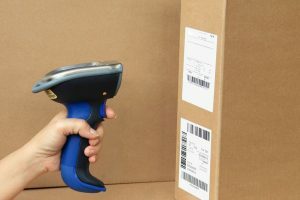 For a top-quality, wireless barcode scanner that can stand the test of time, look to the experts at Tri-State Business Systems. We have been serving the needs of customers throughout the US for decades, and our commitment to excellence and superior customer support is evident in everything that we do. We carry a broad assortment of wireless barcode scanners to meet the needs of countless businesses across multiple industries. From Motorola scanners to Zebra scanners and everything between, we have the equipment you need to streamline your barcode systems – and your business. 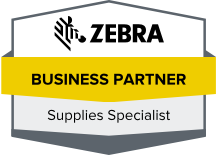 Zebra is a name that is well-recognized in the barcode, labeling and printing industries, and at Tri-State Business Systems, we are proud to have formed a strategic alliance with Zebra Technologies to bring you all of the latest and most innovative products. With handheld general purpose scanners, rugged scanners, ultra-rugged scanners, multi-plane scanners, healthcare scanners, portable scanners and more, we have all of the barcode scanning equipment you need at Tri-State Business Systems. Motorola is another option for barcode scanning equipment. Featuring lightweight construction and ergonomic design, Motorola scanners are renowned for their comfort during high-frequency use. In addition to wireless scanners, we are also pleased to offer nearly any product you could need to maintain your barcode or labeling system. We can customize the software for you to make more efficient processes and/or build you a custom RFID system. We can even outfit your RFID system with all of the RFID readers, printers and scanners you need to make the most of your business. Hundreds of businesses throughout Bridgewater, Piscataway Township, Edison, New Brunswick, Franklin Township and the neighboring regions trust and rely on us for all of their barcode and labeling system needs, and we look forward to serving you! Contact us today for more information, to request quotes on a wireless barcode scanner, or to place an order. Our experts are standing by ready to assist you and can work closely with you to develop the ideal barcode or RFID system to best meet your company’s growing needs.